Get ready for flying, new artifact traits and skins, new solo content, new everything! Ghostti a What makes that perfect is he did take a dirt nap towards the end of the kill. Syrophenikan Snuffles is with us in memory, we'll never forget his sacrifice. Prime Raiding Kicks Off Oct 4th, Fun Runs Start Today! 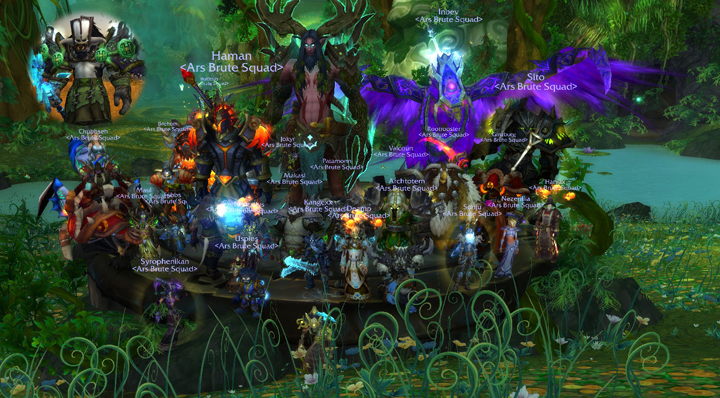 Prime Raiding kicks off on October 4th in heroic Emerald Nightmare. We will also do exploratory raids into normal mode that are less formal to get things going, to experiement with the fights, and to get back into the rhythm of raiding again. Check out the Prime sub forum for more details. Login and play, tons of people online for the new expac!